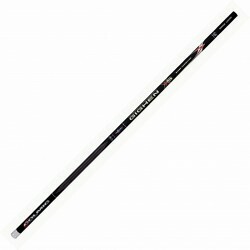 From Okuma the new Ceymar 4,20m is an excellent rod for Match fishing...Slim and balanced carbon blank. 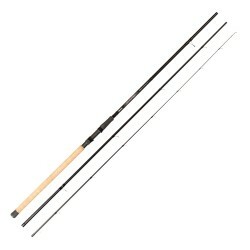 Progressive action.Quality cork and EVA handles.Okuma quality graphite reel seat.Light weight guide setting. 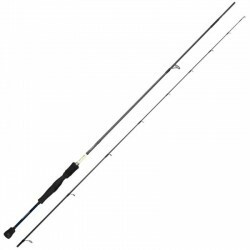 Supplied in quality rod bag ..
A very popular Rod for Match Fishing from OKUMA.100% IM6 Carbon at 24tn pressure.With Progressive action & Casting Weight 10-35gr.Reel Base from aluminium.14 Sic Titanium oxyde Guides.. 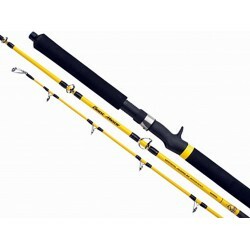 The completely New "3rd Generation" Crostage appears at last.. A rod where every angler can easily feel the full specs and features that the new Crostage material can adapt to any field condition and fishing method with the latest technology of "Cross Force Manufacturing Method" adop..
From Alpha Tackle 2 rods for Light Game fishing type...Rods with great sensitivity in order to play with small lures, soft baits or small jigs.Eliptical Shape of the High Modulus blank gives you more strengthto fight with any fish.Lightweight rods featured with Fuji O guides for handling the thin br..
From Alpha Tackle an excellent rod for the Tai Rubber fishing...Grazze Shaft is a lightweight Rod with a very sensitive solid Tip.Blank is from High modulus carbon that gives you strength and a very progressive action.Featured with 15 Fuji guides for handling the braid without problemsUse Baitcastin..
From Balzer the Advent MK gives you the opportunity to play with 2 tips with diferrent Lure Weight...Quality IM-8 Carbon BlackTitanium Sic Stainless Guides for excellent Handling of the braid without problems.Fine Quality Duplon Handle.You have two tips. 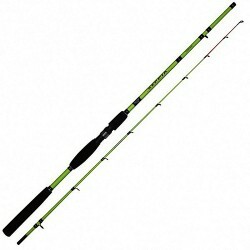 First with Lure Weight 08-23gr and 2nd for he..
Telescopic rod 100% reliable, features a tubular tip and cross reinforced carbon, perfect for both river and saltwater fishing.CodeLenghtCasting WeightWeightTransportation LenghtS2055013215,00mMax 20gr210gr135cmS2055013226,00mMax 20gr278gr135cmS2055013237,00mMax 20gr357gr135cm..
From Colmic a rod for medium-heavy bottom fishing from boat with excellent price quality ratio..Carbon Mix blank SIC guide ringsNylon/ABS and stainless steel reel seat..
From Daiwa Ballistic is a Lightweight but a very strong rod for spinning.Made by 100% HVF Ηigh Value Modulus Carbon.With Fuji OAL guidesReel base Fuji ACS.Handle ΕVA grip. 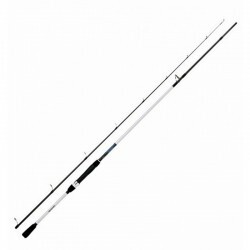 Action Fast.CodeLengthLure WeightGuides NoWeightTransportation LengthSKDABLX802MHFS2.44m7-28gr8124gr124cmSKDABLX802HFS2.44m..
From DAIWA a very nice rod for EGI...High Modulus CarbonSic GuidesSlim Handle by EVAAction Medium Fast for squid lures #2.5-4.0..